Multiple studies in recent years have pointed to the fact that many Britons eat the same thing for lunch every day. A 2015 Lurpak study showed that 30% of people eat the same thing for lunch every day – the top choice being a cheese sandwich. By 2017, a Deliveroo study demonstrated that top choice had moved to a ham sandwich….an incredibly adventurous move. Yet another study, this one by Arla Fibre, also showed that 7 out of 10 wished they could get more variety in their diet. It’s not that the majority of people don’t want to mix it up, it’s that doing so can be difficult, inconvenient, and expensive if they’re unsure about what’s out there. In our last blog post we touched on how workplace food hasn’t really dramatically changed for a long time, and how we are re-imagining the last mile delivery of food to offices. We are overdue for a change. And the fact that so many people find it hard to increase variety in their diet supports this. Why is choice important? Why not eat the same thing every day? First a start, it’s just not that good for you. Dietary variety is important in getting the right range of nutrients for your body. Secondly, as solid foodies, we believe that lunch is one of the most exciting times of the day! Not only is it a chance to take a well-needed mental break, but it’s also a chance to socialize, take a walk outside, and generally re-set yourself for the afternoon. If you’re stuck in a rut, there’s a good chance you’re grabbing the same thing in front of your computer each day, and not taking advantage of the break properly. Spice Box is giving traditional Indian take-out a face-lift. They are 100% vegan, swapping out traditional options like chicken for more innovative ingredients like jackfruit. Third, you’re just missing out. There’s so much more food innovation in the grab-and-go lunchtime market than there was even 5 years ago. When Pret-a-Manger reinvented the sandwich shop, it was a revelation. Now, new independents have left Pret in the dust when it comes to delicious, healthy, interesting food, and you’re missing out on discovering your new favourite if you’re not trying that out. What do people do if they have access to better things? Overall, they make better choices. People want to eat well. A recent survey by PwC showed that 53% of 18-34 year olds were expecting to eat healthier in the next year, and that this typically was going to come during the week. Weekday food is seen as an easy place to eat well, and typically weekends are the time to indulge. Yet about 33-40% of people are unaware of how many calories they are eating in a day. We think what’s stopping people from eating well is that it’s not always easy to do, nor obvious how to do. The psychology of choice tells us that as choices increase beyond a certain point, our ability to choose decreases for fear of choosing wrong (we recommend checking out The Paradox of Choice: Why More is Less by Barry Schwartz). Paradoxically, too much choice can lead to mental paralysis and choosing the familiar option every time. Too many choices make it more difficult to choose and be happy with what we choose. We’ve all been in this situation: we are in line for lunch and bored of what we always have. We scan the impossibly long list of offerings. Before you know it, you’re at the front of the queue. Panic sets in, and all you can think of is what you had last time. Knowing you’re holding up everyone behind you, you choose the butter chicken wrap. Again. Because you had it last time and you know it’s not terrible. 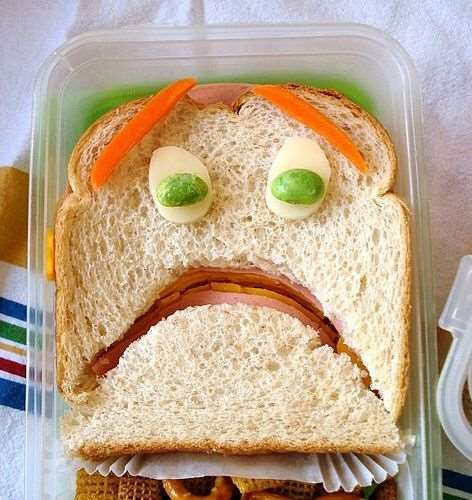 But are you thrilled with lunch? Probably not. The same thing tends to happen, though maybe for different reasons, when you’re confronted with 100 restaurant options on an app. Choice overwhelms. You’re not sure what’s going to be good. And so you go back to the same choice, again and again. We do things a bit differently at Feedr – we’re creating ‘smart’ menus that limit options to those that fit your preferences. We rotate through vendors and cuisines from our curated set of 80 artisan vendors and are driving more and more personalisation over time. Nothing should be static – we’re approaching the problem in a dynamic way. For us, the curation starts with picking the best vendors. Beyond that, we play a role in constructing menus with great combinations of menu items. To do this well, we’re blending both the art and science behind food: we start with the basics of coverage for the main dietary requirements and diets, and then add on a layer of taste profiling. Feedr’s Cloud Canteen uses machine learning to personalise menus based on customers’ taste profiles. Because of the fact that we have limited menus each day for any one customer, we can understand people’s ordering patterns and by tagging menu items with characteristics, we can use machine learning to create “taste communities” – people with similar taste preferences to each other. As we craft menus, we include items that appeal to all of the taste and dietary communities within a company. We then take detailed feedback from our customers, and together with their ordering patterns, iterate to build menus which are more and more appealing. What we’re trying to build is the feeling for every one of our customers that when they open the daily menu, there is something perfect there for them, every time. We may never reach 100% in this as compared to a platform that lists every possible vendor choice every day – but what we believe (and what our cohort & customer feedback data tells us) is that by making it easier for that 95% to find, order, and receive this food, we’re delivering unique value to our customers that just isn’t possible when you’re trying to select from an undifferentiated list of hundreds of vendors and thousands of menu items. We are harnessing order behavioural data to ensure you’re getting meals you enjoy, every time. Providing full dietary transparency for all of our menus is also on our agenda for the next few months. While not everyone always cares about the calories or macros in their food every day, being an online platform makes this transparency possible for those who want it, and only working with a relatively limited set of vendors makes it feasible operationally. This additional information is increasingly important to people, and we are looking forward to seeing how it actually plays into how they make decisions. As we grow, all of this data will allow us to better predict changing taste patterns, trial new menu items and ultimately bring a unique set of menu options onto Feedr. We firmly believe that one of the greatest joys about food, and something that top chefs continue to get right, is the beauty of discovery. Michelin-starred chefs delight and surprise, and then what really successful mainstream chains do is take the unfamiliar and mix it in formats that are familiar – a taste of something new in a comfortable way (think of the Chicken Tikka Masala, or California Rolls, both of which made unfamiliar cuisines accessible to local tastes). Our goal is to always be able to do that – bring something slightly unexpected or new to someone in their normal routine, so you’re not stuck eating a ham sandwich every day, unless you really want to be.